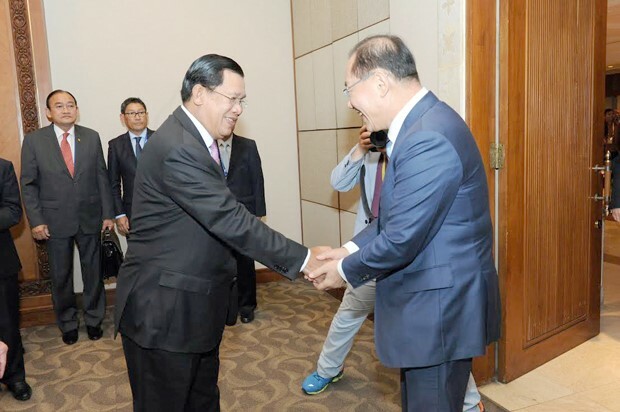 Samdech Akka Moha Sena Padei Techo Hun Sen, Prime Minister of the Kingdom of Cambodia, met yesterday with Deputy Prime Minister and Minister of Education of the Republic of Korea H.E. 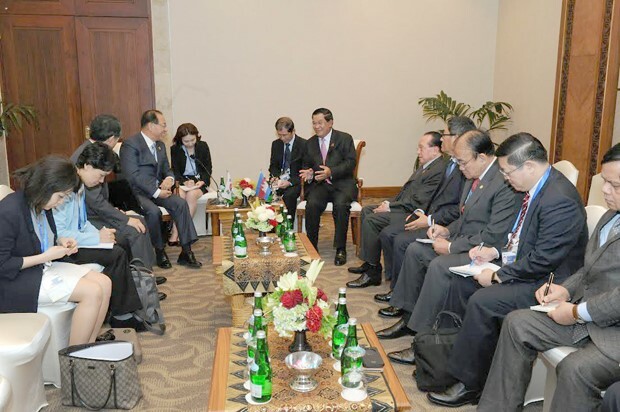 Hwang Woo-yea, on the sidelines of the Asian African Summit in Indonesia. According to the National Television of Cambodia (TVK), Samdech Techo Hun Sen and H.E. Hwang Woo-yea discussed different topics, especially about some 10,000 Cambodian-Korean children. Both leaders would like them to have access to both Khmer and Korean education and can stay legally in the two countries as they want. Besides, the meeting touched on the New Village Movement, the establishment of Rural Development University, human resource development, as well as Korea’s concessional loan to Cambodia.